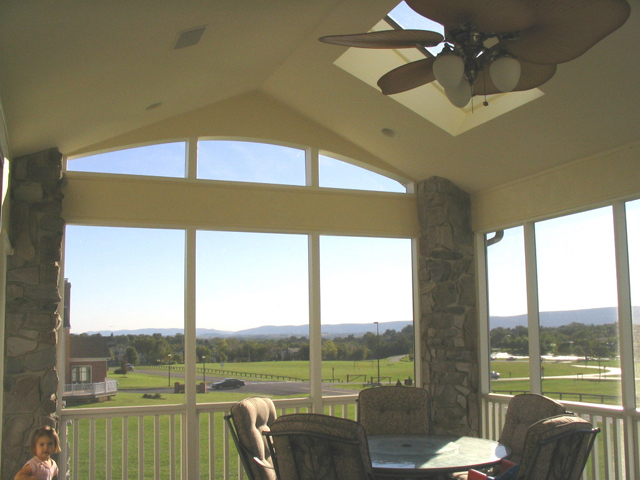 The owners of a home I designed in 1999 decided a few years later that needed a screened porch and patio addition off of the breakfast nook as well. The back of their home faces Middletown Park and is very visible to passersby, so exterior aesthetics were as important as the look from inside the porch. 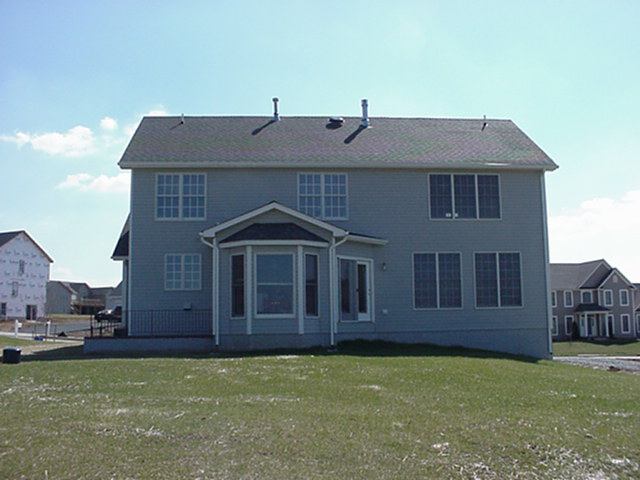 I specified synthetic stone, shingles, and other exterior materials to match the existing home (there is stone on the front of the home, not visible from these pictures). Custom arched screened panels were designed into the end gables to increase the open airy feeling of the room, which was further enhanced by the cathedral ceiling. 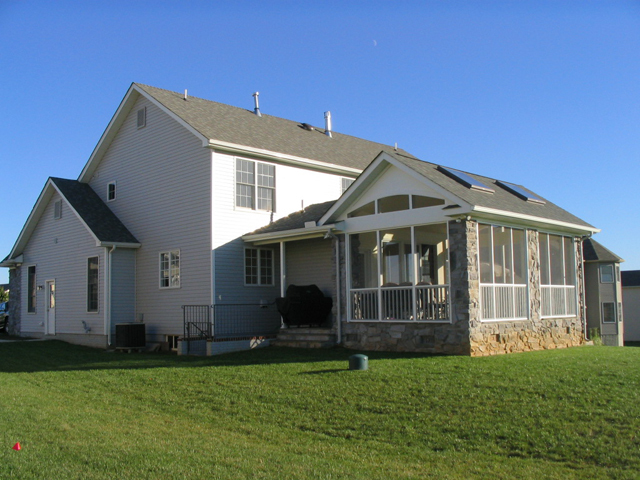 Large groups of people are easily accommodated at their home because there is easy flow from the kitchen/nook area, the screened porch, the flagstone patio, and the grilling area. They practically live on this porch in warm weather, and the roof overhangs enable them to use it on rainy days without getting wet.